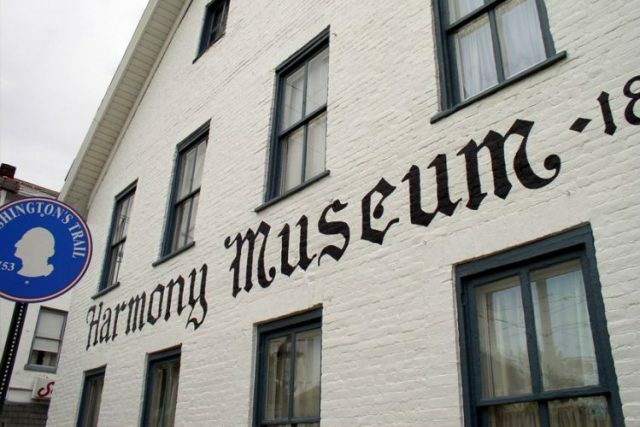 Historic Harmony, Inc. was founded in 1943 and operates the Harmony Museum, which interprets 250 years of rich history. We have presentations that include George Washington’s 1753 mission, Harmonists, Mennonites, and the Ball Collection of outstanding sporting rifles by 19th century Harmony gunsmith Charles Flowers. Its eight properties include the 1809 main museum building as well as the Harmony Society cemetery and Mennonite meetinghouse and cemetery. And consider joining us as a Member! You will get our monthly newsletter, a 10% discount on all your shop purchases, discounts on event tickets and more!